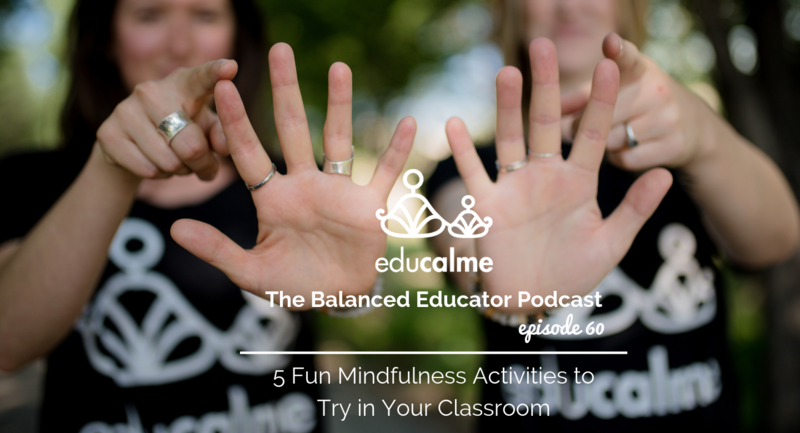 Today on The Balanced Educator Podcast, we are sharing 5 fun mindfulness activities you can do in your classroom – and we’ve got you covered with all of the resources you’ll need for them! Five Finger Breathing, a visual way to breathe tracing your fingers as students inhale and exhale. Flower petal breathing, a printout where students trace the petals as they inhale and exhale. Mindful Eating, a script to walk your students through an activity where they use their 5 senses to experience eating mindfully. Mindfulness Scavenger Hunt, a worksheet where students are asked to use their 5 senses to discover their surroundings. A Memory that Brings me Joy script, a script you can use to guide your students through a mindfulness practice. This episode is perfect for you if you want simple, fun activities to use in the classroom, no prep required! To subscribe to our mailing list: Receive Happy Mindset Monday emails! Explore our library of free mindfulness resources for you and your kiddos. Ready-to-use guided mindfulness practices and lessons made for the classroom so you can learn with your students. 5 minute guided mindfulness practices teach you and your children about the brain, emotions and give you breathing strategies to use when you're feeling a big emotion.